Can I Make an Uninsured Motorist Claim Against a Taxi? Can you make a UM claim against a taxi? Question: I am a New Jersey resident who was in a car accident taking a cab back to BWI airport. The taxi cab driver was probably speeding the accident was not his fault – someone just pulled out on us. I saw the whole thing. The driver who caused this mess had insurance with Maryland Automobile Insurance Fund which I’m told will have little insurance coverage. The taxi cab company told me they have no uninsured motorist insurance. Is this actually true? Someone told me that every car has uninsured motorist coverage and that the coverage limits are the same as the liability limits. Is this true? Answer: It is very possible that the taxi driver’s car does not have uninsured motorist coverage. For some illogical reason, taxis are not required under Maryland law to carry uninsured motorist insurance. I think the need for relatively cheap cab fare trumps all. Also excluded from UM coverage are state owned vehicles, buses, and off road vehicles. So what are your options? 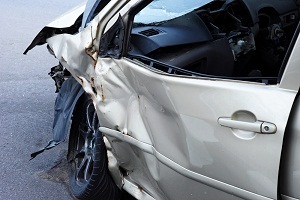 While the vehicle in the crash is the primary source of coverage, a taxicab passenger can turn to any personal or household policy they may have. In other words, your own car insurance should step in and provide uninsured motorist coverage for you. 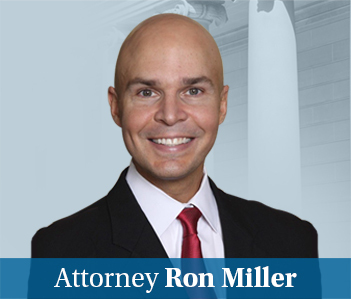 But I can’t speak to New Jersey law even though we have had lots of cases involving New Jersey residents who have been injured in collisions here in Maryland. New Jersey is a different animal because your no-fault insurance is far more complicated that ours here and it leads to rules that seem downright goofy to attorneys down here. When it comes to the Maryland Automobile Insurance Fund, which we call MAIF, you hit the nail right on the head. MAIF is a big part of a statutory scheme here. Our brain trust in Annapolis conceived the idea of a state owned insurance company that would offer coverage to those motorists that are legally eligible to drive but no insurance company would want to insure because their driving history demonstrates that they are ticking time bombs. The plan, conceived in 1973, is still in place today. It has been so popular that exactly zero states have replicated it. But as a part of keeping the costs down, they write most minimum limit policies. So the coverage is likely between $20,000 and $30,000 for your crash. If MAIF pays the policy limits, which they usually do in serious injury cases, but not until trial nears, the venue of your case is probably Maryland. If MAIF tenders the policy before suit is filed, you might well be able to bring your uninsured motorist case here or in New Jersey.